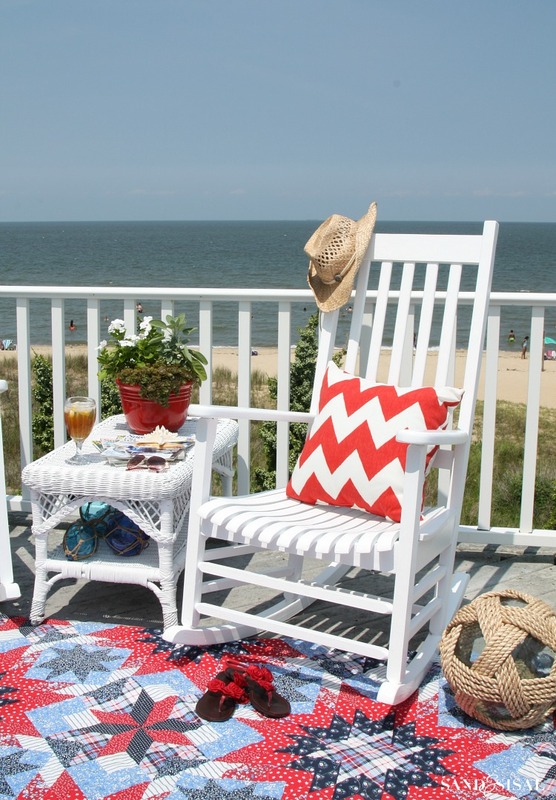 Rocking back and forth, listening to the waves crash on the shore, feeling the salty breezes blow, and watching their grandchildren play in the surf and rocking the babies to sleep on hot summer evenings is what my parents have always enjoyed doing on their beach front home porch. 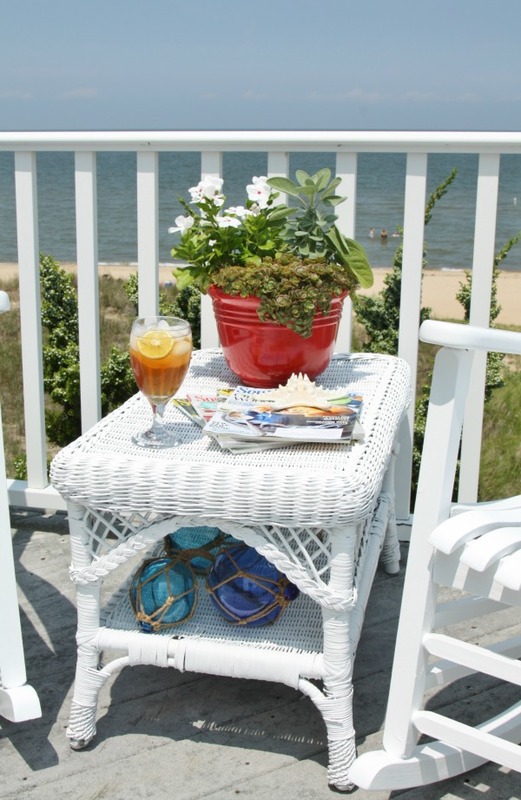 Mom’s porch furniture had seen many years, endured the hot coastal conditions and sadly, was in pretty bad shape. She considered tossing them to the curb, but I knew they held sentimental value to her now that dad had passed. 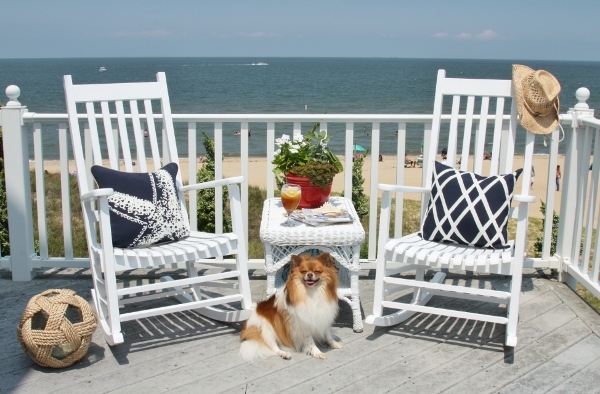 It was time to give the porch furniture a little well deserved T.L.C. 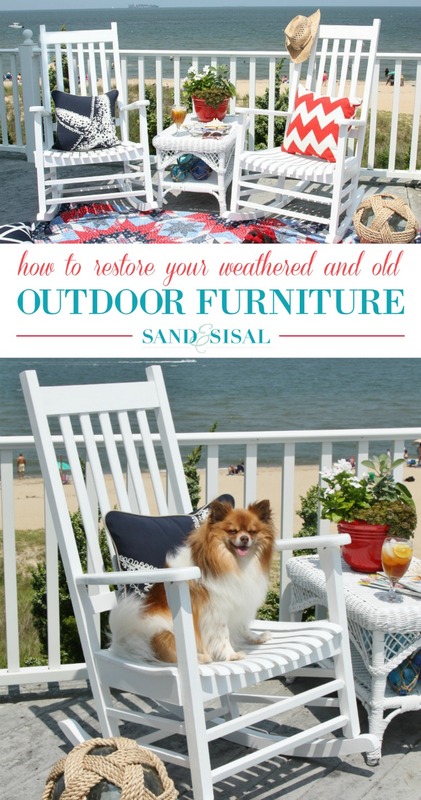 Today I want to share with you how to restore outdoor furniture so you can enjoy it for years to come. 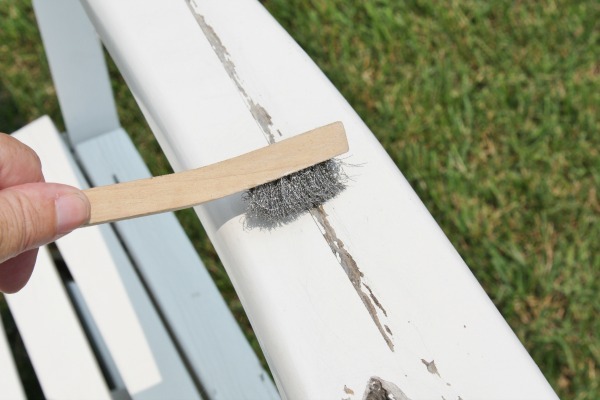 If you have wood rockers or chairs or wicker furniture then you are well aware that they can quickly succumb to the elements. Mom’s furniture had cracked and peeling paint, some wood rot, and the wicker was simply a hot mess. 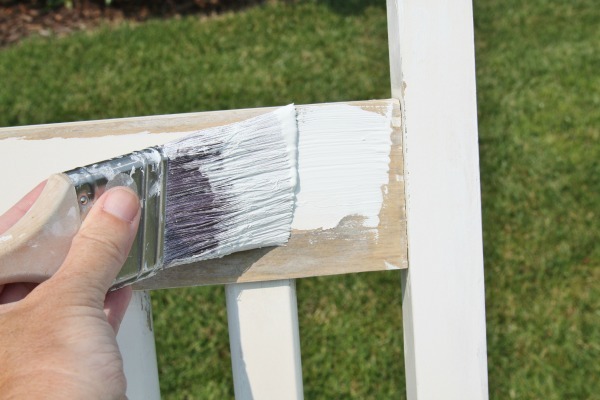 Hand painting patio furniture is very time consuming and laborious. Is there an easier way? Yes! Time to head to Home Depot’s Tool Rental Center to rent a paint sprayer. We love our Home Depot’s Tool Rental Department. We have rented several tools over the years from them. Not everyone can afford to purchase power tools and they provide an abundance of power tools that you can rent in some cases by the hour, the day, or the week. Their helpful and friendly staff will help guide you in your rental process and give recommendations if you need. The most recent tool we rented was a pneumatic floor nailer when we installed gorgeous new hard wood flooring in our home. This trip to HD was for their 20volt cordless paint sprayer. 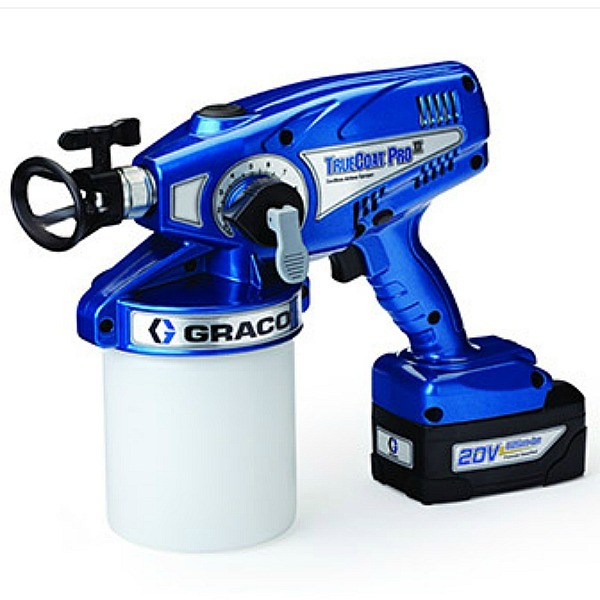 No cords or hoses are necessary with this powerful cordless sprayer! 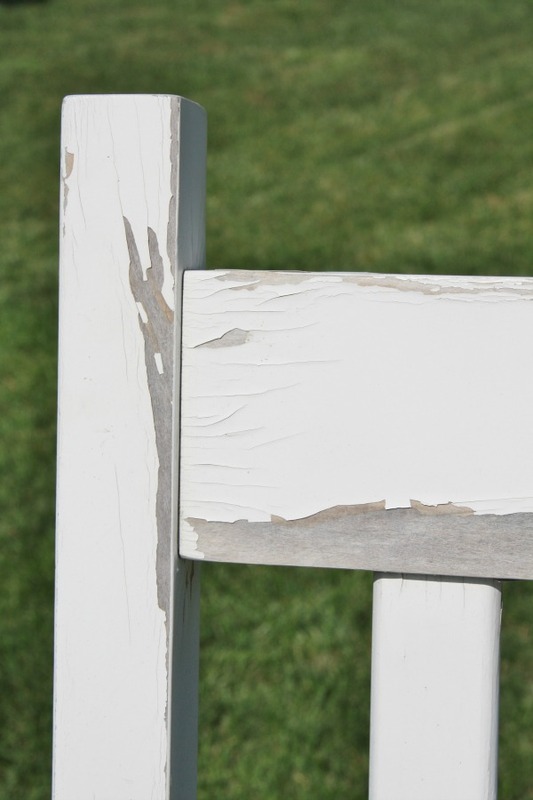 Step 1) Use a wire brush to remove flaking, chipping, and peeling paint. Step 2) Sand the chipped and peeling surfaces with an electric sander using a 100 grit sand paper. 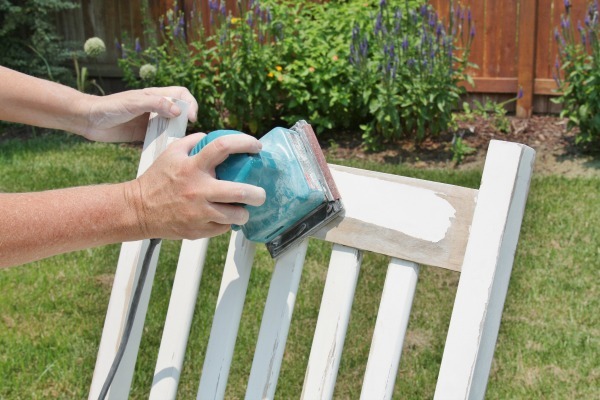 This will quickly smooth the chipped and rough surfaces. Step 3) Use wood filler if needed in any damaged areas. Lightly sand after wood filler is dry. 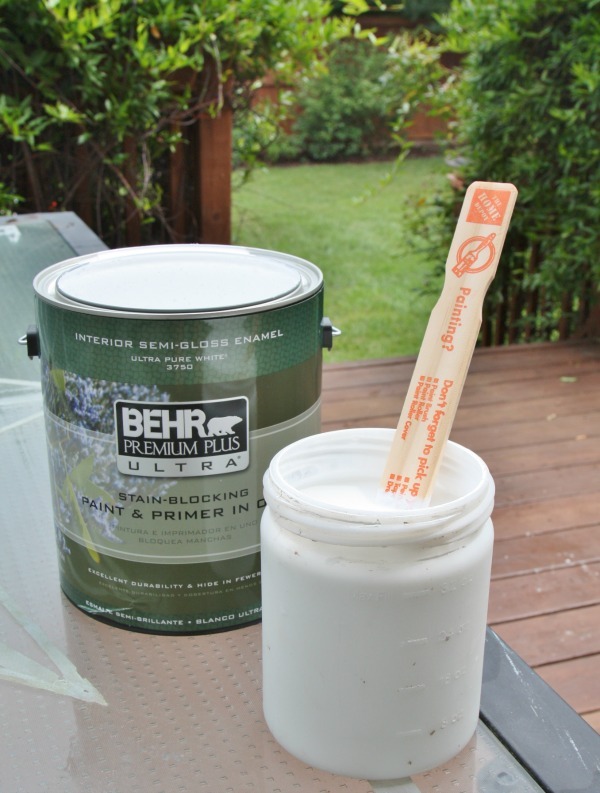 Step 4) Apply primer with a brush to all areas that have exposed bare wood and allow to dry. Then go over all the primed areas with the fine grit sanding block to smooth any primer texture. Step 5) Time to prepare the cordless paint sprayer. You can use either semi-gloss or gloss latex paint. I prefer using semi-gloss. The sprayer is easy to set up. You simply unscrew the paint compartment and pour in your choice of paint. Then you mix in a small amount of water. Follow the directions on the back of the paint can for the proper amount of water to mix in. Next you screw it back onto the sprayer and start the spraying process. Step 6) Be sure to do your spraying outside or in a very well ventilated area. If outside, then protect the grass with large canvas tarps. Do not spray on a windy day. Always read the manual of any rental tool for full instructions and recommendations. Put on your safety gear and wear clothes that you don’t mind getting paint on. You want the sprayer to be level with your piece of porch furniture. For best results, try not to spray at an angle. Use sweeping and steady left to right motions. 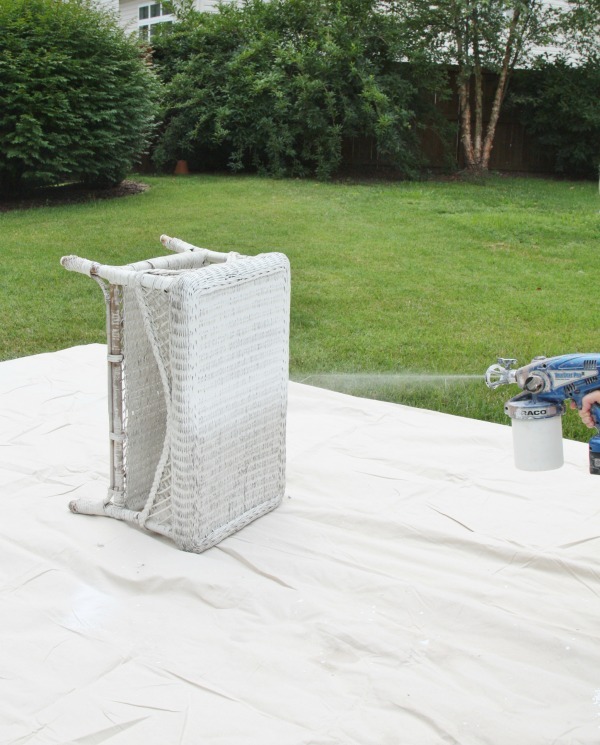 If you have wicker, then you will be thrilled with how quickly you can paint the piece! For spraying smoother pieces of furniture I will be honest with you, it takes a bit of practice. If you have never used a sprayer then I recommend practicing on a sheet of scrap plywood first. Use water to practice with then try practicing with paint. 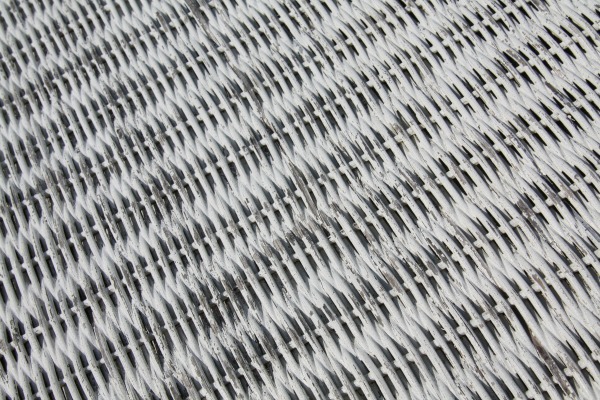 It is better to apply several light coats versus heavier coats which the wicker can handle. You want to avoid dripping, so being patient is key if you want to get a professional looking result. Patience and hard work pays off! We have breathed new life into these pieces. Just look at how gorgeous the furniture looks now! 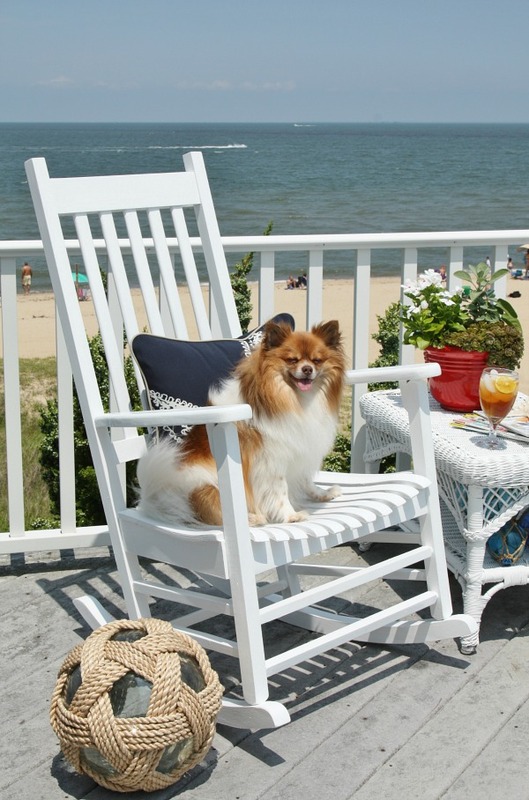 Even mom’s grand-doggies are enjoying the “new” porch furniture! And to think, these rockers and table might have ended up on the curb for the trash man! 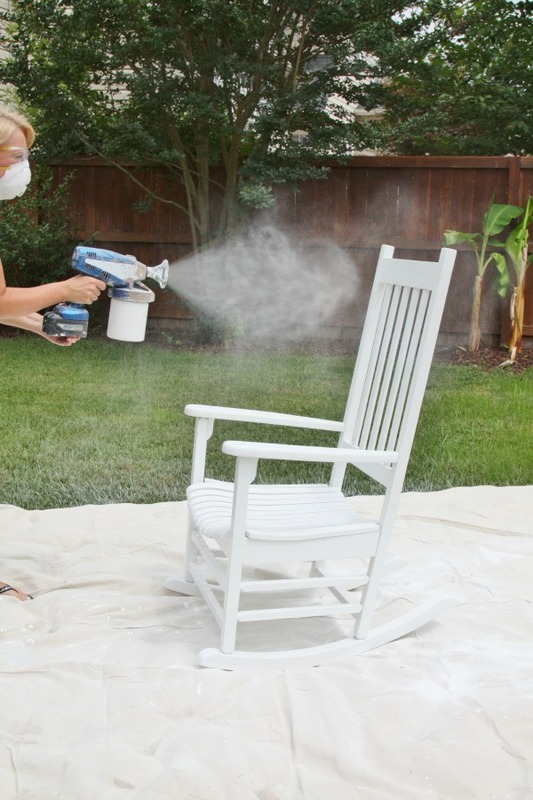 So before you give up on your old and worn porch furniture, give a paint sprayer a try! 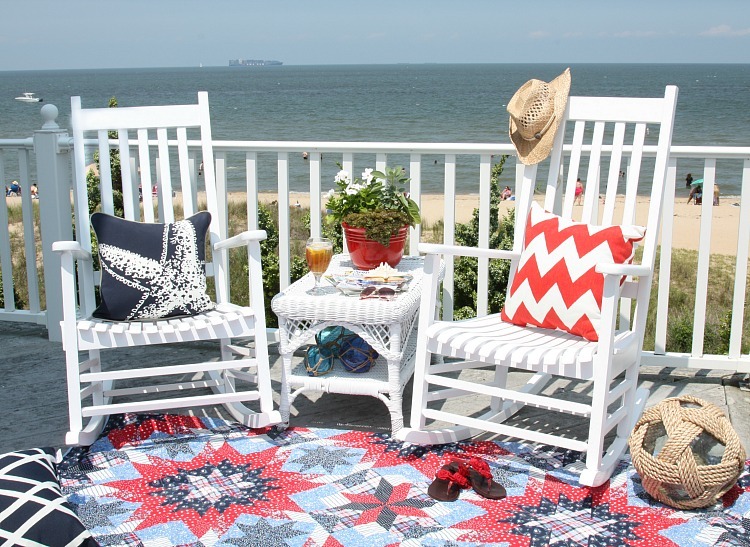 Your porch and family will thank you! LOVE IT ? PIN IT! Thanks for the info, I can’t wait to renew my wicker! Thanks Christy! I discovered that not every HD carries the paint sprayers so you need to call around first and ask. The chairs look great! 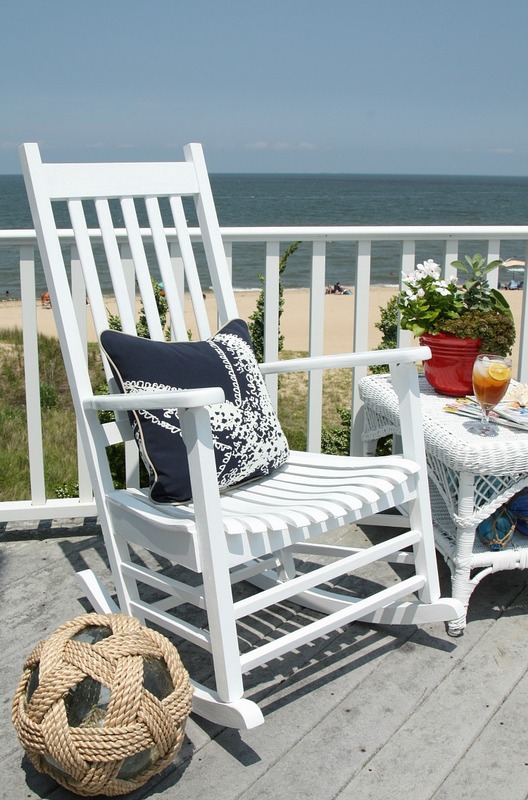 Who wouldn’t want to rock and relax to that view while listening to the waves? Looks like heaven! Is this Behr product an outdoor paint and primer? 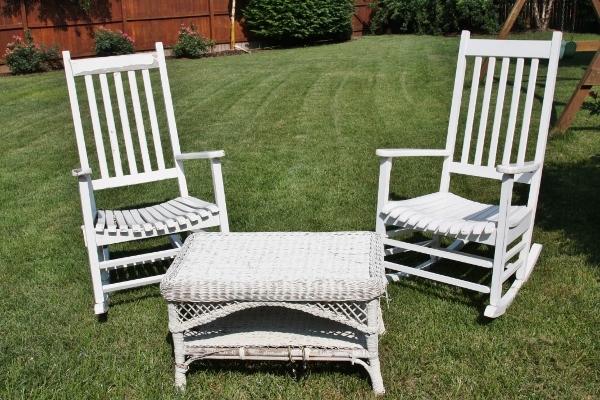 I have some porch rockers to restore and I would love to put them on the deck but have been afraid they would get ruined! Thanks so much for the inspiration!